The Australian Silver Lunar coin series began with an interesting idea. The Perth Mint took the 12 signs for the years of the Chinese calendar and committed to strike each of them onto an annual release of the coins. They limited the mintages of these coins to give them collectible appeal. This series of coins became a popular bullion item in Australia, Asia, and around the world. The altering annual designs ensured that each coin issue remains distinctive and one of a kind. The Silver Horse is one example of these unique and fun coins. Series 1 Silver Lunar coins came available in a range of sizes. There were half ounce, one ounce, two ounces, ten ounces, and kilogram silver coins. In the year 2004, the mint added five ounce coins to the lineup. By 2008, the Perth Mint decided to consolidate it's offering down to two sizes. They eliminated all other denominations besides the one and two ounce silver coins. When the mint embarked on the Series 2 Lunar Silver coins, they changed the designs so each animal year would have a different appearance from the ones in the Series 1. Because of the overlap in production years, there are two different designs of the mouse in 2008, the ox in 2009, and the tiger in 2010. With this long running two coin series, Australia demonstrated once again why its coins remain among the most beautiful and sought after in the world. The Perth Mint guarantees that all of its Silver Lunars meet the specifications for their silver purity, weight, and content. The design of every year is different. Because Australia recognizes Queen Elizabeth II as its head of state, all of the country's coins carry her portrait. The obverse side features a striking representation of her majesty along with the monetary denomination and the .999 silver content phrase. On the most popular one ounce coins, this states one dollar. The year is noted at the bottom. The Lunar Coins are legal tender as mandated by the Australian Currency Act of 1965. The Lunar Silver coin's reverse features a different animal each year. As an example, the 2002 issue bore the grace, power, and beauty of the horse. The horse was depicted as fully grown and in full gallop motion. Five bats bordered the horse to symbolize prosperity, peace, and health. The reverse also featured the Chinese symbol for the horse as part of the design. The face values on the Australian Silver Lunar coins varies as with the size. The one ounce coin with a face value of $1 has always been the most popular. Other denominations included 50 cents 1/2 ounce coins, $2 two ounce coins, $8 five ounce coins, $10 ten ounce coins, and $30 kilogram coins. Every coin states its face value on the obverse. The Australian Currency Act of 1965 made these coins all legal tender. In practice no one spends them for face value. Silver Lunars have much higher market values than the face value describes. It is the silver content of the coin that provides the basis for this value. Even though these coins trade at a little premium to silver because of their limited mintage, the market value is based on the daily spot price of silver. During the week, the silver prices move up and down. This means that the daily Australian Silver Lunar coin prices also vary every market day. You can see the real time prices of the precious metals by navigating to our home page. The IRS approves Australian Silver Lunar coins to be held in your self directed IRA. Including physical silver bullion coins in your precious metals IRA gives you a one of a kind portfolio diversification tool. This is because the coin prices do not move in lockstep with stocks and bonds. Silver has demonstrated its popularity as an alternative to gold for a portfolio hedge because it is much less expensive to own. Individuals can benefit from the IRS allowing inclusion of the four precious metals silver, gold, platinum, and palladium in their IRAs. The rules state that only bullion which the IRS approves can be included in these accounts, like Australian Silver Lunar coins. First purchases are required to be at least $5,000 in silver. Additional purchases can be bought at a minimum of $1,000 worth of silver. There are several regulations that govern the purchase and storage of silver in these IRAs. The coins have to contain a minimum level purity to be eligible. The Perth Mint guarantees that its Silver Lunar coins meet the purity standards with its 99.99% silver content. The coins can not be stored in your home. They must be managed by an IRA administrator and maintained in a third party vault which the IRS approves. Such depositories insure, store, and provide for the maintenance of your bullion coins. 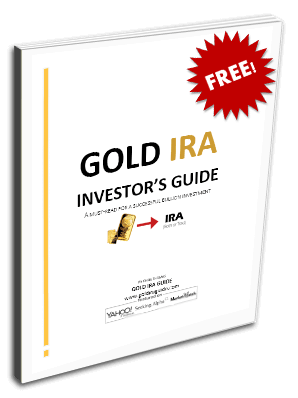 If you have another IRA account, you can easily roll it over to a precious metals IRA. To purchase silver coins such as the Australian Silver Lunar ones, you simply give instructions to your account administrator who will purchase the coins from a reputable dealer and arrange to have them transported to the depository vault for storage.